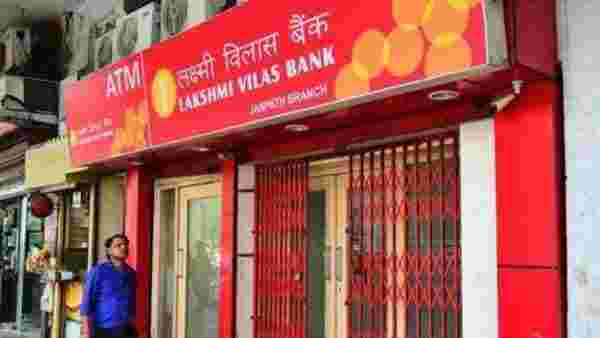 Mumbai: Private sector lender Lakshmi Vilas Bank Ltd on Friday said that its board has approved a merger with mortgage financier Indiabulls Housing Finance Ltd in an all stock deal. The merged entity, to be called Indiabulls Lakshmi Vilas Bank, will be among the top eight private banks in India by size and profitability, Indiabulls Housing Finance said in a filing with stock exchanges. The share swap ratio for the merger has been fixed at 1:014, which means that for every 100 shares of LVB held by shareholders, they will be entitled to receive 14 shares of Indiabulls Housing Finance, according to the exchange filing. As of 31 December, LVB operated 569 branches and 1,046 ATMs across 19 states and one Union territory. Indiabulls Housing Finance is involved in providing home loans, loan against property to retail customer including MSMEs and businesses, lease-rental discounting and construction finance through a network of branches spread across 18 states and three Union territories. The merger is subject to the approval of the Reserve Bank of India (RBI), as well as the grant of other regulatory approvals. LVB’s board believes that the merger will unlock significant value through synergies and create a diverse retail loan book. “The bank believes that the merger of such two organizations will unlock value through its various synergies that exist exclusively but in unison, will create a large and healthy diverse retail asset book, high capital base for strong growth, huge opportunity to foray into newer businesses that may increase the risk fee income base of amalgamated entity such as wealth management, asset management and securities,” it said. The merger will also increase the geographic presence of the merged entity as Indiabulls has a strong presence in northern and western Indian markets, while LVB has a strong presence in the South. For Indiabulls, the merger will mean access to low-cost deposits and an expanded distribution franchise. “Cross-sell opportunities created through the merger will help Indiabulls Housing Finance to grow loan book through a suite of consumer loan products, and give it access to new fee generation opportunities. LVB’s shorter tenor loans coupled with Indiabulls’ longer maturity book will ensure ALM (asset liability mismatch) optimization. Diversified loan book will lead to evenly distributed risk profile,” the statement said. The merged bank will aim to deliver a return on equity in excess of 20% through optimal utilization of resources and synergies created, it added. For the fiscal year ending 31 March, LVB’s loan advances stood at ₹24,123 crore, while Indiabulls’ total loan assets stood at ₹1.24 trillion. On Friday, shares of LVB closed at ₹92.75 apiece, up 4.98% on the BSE, while shares of Indiabulls Housing Finance closed at₹903.15 per share, up by 0.53%. The announcement was made after market hours. “My overall sense is that return on assets (RoA) and return on equity (RoE) will not vary too much from our projections. Gradually we should stabilize RoE at 18% and RoA at 2%,” said Parthasarathi Mukherjee, managing director and chief executive officer of Lakshmi Vilas Bank.